Commercial Property: Sell It Fast! 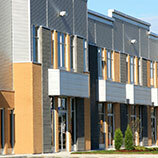 In our last blog, we gave you several tips to help you sell your commercial property. We told you last week that we had many more tips to give to you. At North Bay Property Advisors, we want to do everything in our power to help you sell your property fast and get exactly what you want for it. Just because it is a commercial property and not a residential, doesn’t mean that the buyer isn’t looking for that finesse that you would expect to see when you sell something. You should do everything you can to make your space look great. Make sure to tidy up and clean or stage the area. It is also a great idea to get rid of any odors. Get rid of unnecessary clutter so that the potential buyer can visualize the space in their life. We get it; some people are procrastinators and do things at the last minute. When you have to work within a time frame, you want to give yourself as much time to sell your property. It adds pressure to the process and will hinder the negotiations. Unless you are quitting your business altogether, we recommend that you don’t move out before you sell your commercial property. This will cause you to want to agree to terms that you are not necessarily OK with. Lastly, keep your emotions out of the sell. Don’t get offended when you get a low offer or when there is a comment on your property’s condition. This is ultimately a business deal and emotions will only slow the process down. 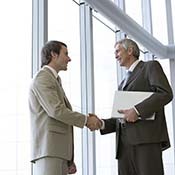 Finding out information about your potential buyer will help you in the negotiation process. If you can learn their deadlines or the mortgage they can carry, it will help you decide on their offer. You can also find out how much they are able to pay. This will help when they put in a low offer. You can come back with a counter offer that they are sure to accept. 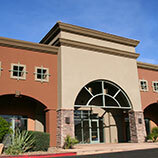 When you are ready to sell your commercial property, call North Bay Property Advisors.